No-cost refinancing rolls costs into the principal or interest rate of the loan. 2. How do I Determine If Refinancing a Mortgage Will Save Money? 3. What Can the Seller Pay on a FHA Loan? Refinancing a mortgage is often as costly as taking out an initial mortgage loan. 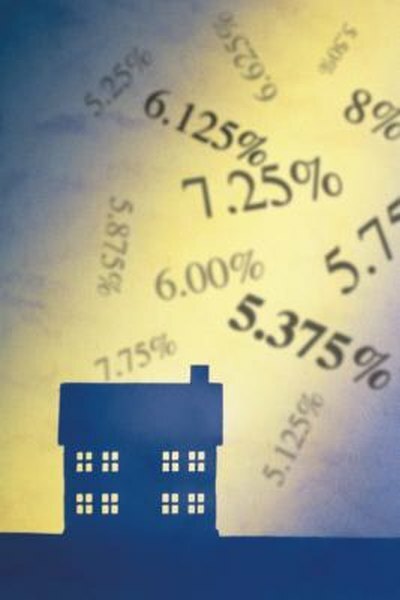 Closing costs alone can run 3 to 6 percent of the outstanding principal, says the U.S. Federal Reserve, and that doesn’t even include items such as prepaid interest, taxes or insurance that may also be due and payable on closing day. Although a homeowner can benefit over the long term by paying everything up front, no-closing-cost refinance loans can reduce most of the fees due on closing day. The most common way to reduce up-front refinance costs is by adding or rolling closing costs into the loan. While some lenders will add closing costs to the principal and simply increase the balance of the loan, most roll closing cost charges into the interest rate of the loan. For example, a lender may offer a choice between an interest rate of 3.75 percent without closing costs rolled into the rate and an interest rate of 4.125 percent with them. Although adding in or rolling closing costs reduces amounts due up front, both significantly increase long-term expenses because they extend over the life of the loan. For example, adding closing costs of $3,500 to the balance of a $150,000, 30-year fixed rate loan at 3.75 percent adds an additional $5,834.87 over the lifetime of the loan. Rolling closing costs into the interest rate increases costs even further. Adding closing costs of $3,500 by increasing the interest rate from 3.75 percent to 4.125 percent on the same $150,000 loan increases the interest paid over time from $100,083.41 to $111,712.44, a total of $11,629.03. A closing cost strategy that can reduce up-front payment requirements and save money in the long term is to negotiate away what you can and roll in the rest. A good payment history and credit score, research to compare fees, and use of the art of negotiations is a less common but still viable option for reducing up front closing costs. Start with the lender holding the original mortgage and negotiate to reduce direct closing cost fees, as well as small third-party fees such as the fee for getting a credit report. Although most third-party fees are non-negotiable, asking the current title-search company to reissue rather than rewrite title insurance for the refinance loan can cut this cost by up to half. Bankrate: Is No-Closing-Cost-Mortgage For You?